We do offer a great option on fertilizer ever since we added a pure organic fertilizer. 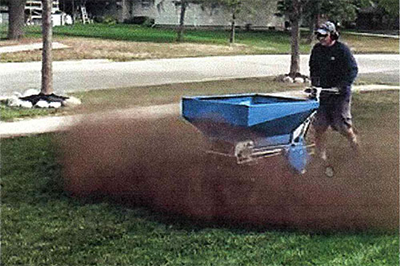 Our organic fertilizer is a great option if you want to maintain your lawn with organics. You still get a complete fertilizer, just all organic. We have had great success with this fertilizer, and it is made locally here in Colorado. You can add weed control to the fertilizer, or leave it out based on your preference. Unfortunately, there are no weed control products that are organic that work well. We offer spot spraying of the weeds to minimize herbicides on your property. We have a ton of tree pictures on another website of ours, Denver Tree Pictures. Use this site and it's galleries to determine what kind of trees you want to have planted in your yard. © Schulhoff Tree & Lawn Care, Inc.